Palestinian Woman in traditional dress, chanting in Martyr Omal al-Qasim's Funeral. 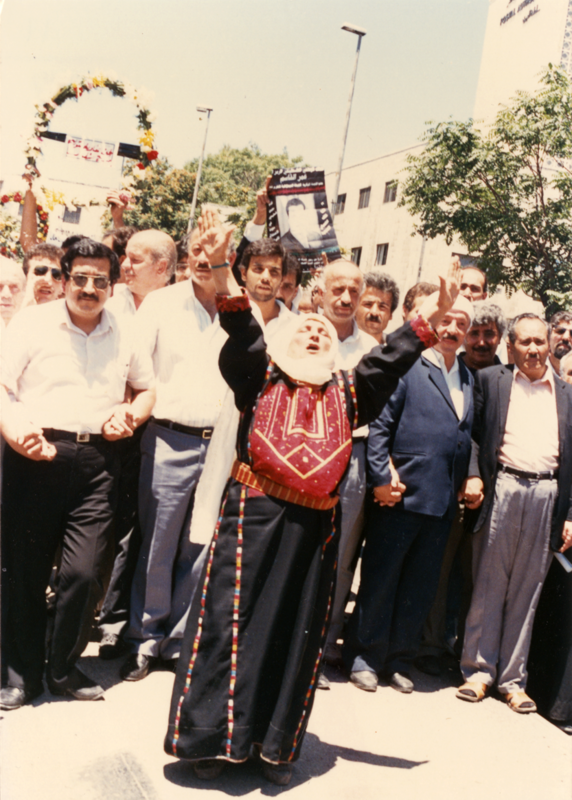 Al-Qasim was killed in Israeli Occupation's prisons on the 4th of June, 1989. His Funeral was held on the 7th of June, 1989.